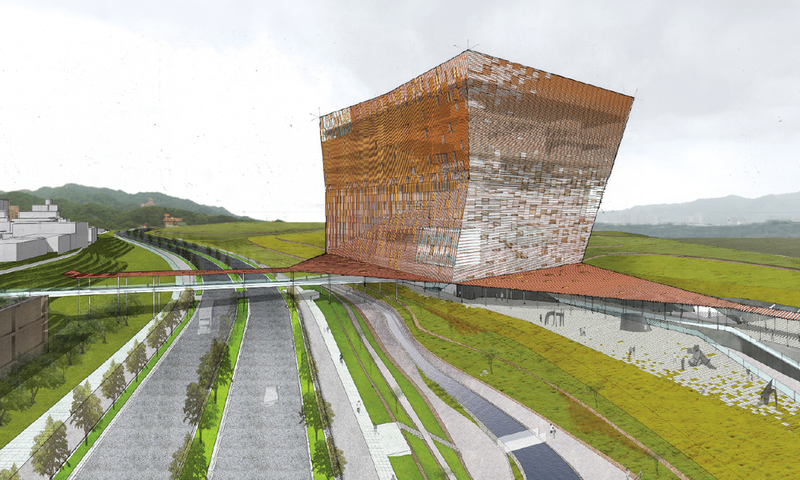 Whereas conventional art museums are designed to distinguish and elevate art from the everyday, this competition entry for the New Taipei City (NTC) Museum of Art seamlessly integrates public life with the experience of art. 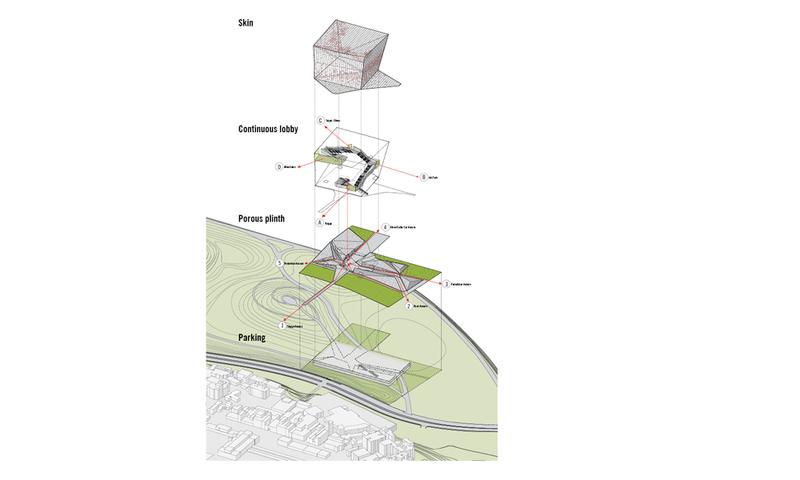 A resolution of simultaneous opposites, the museum is at once an object building—a logical response to the limitations of site coverage—and an extension into the landscape. 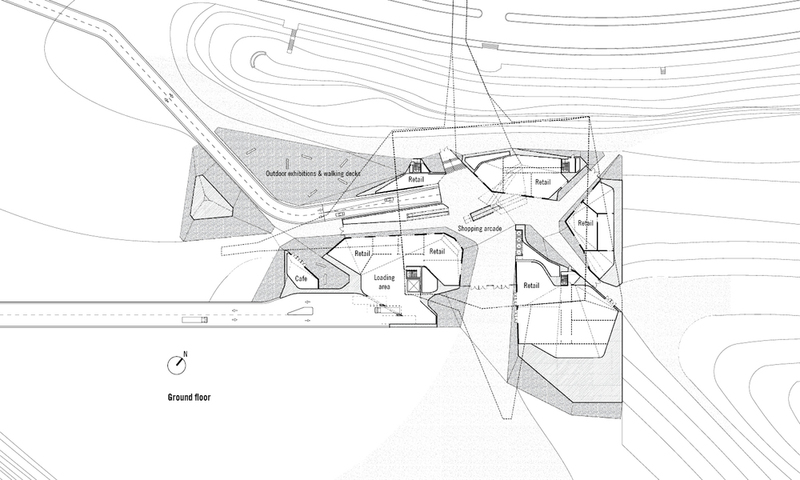 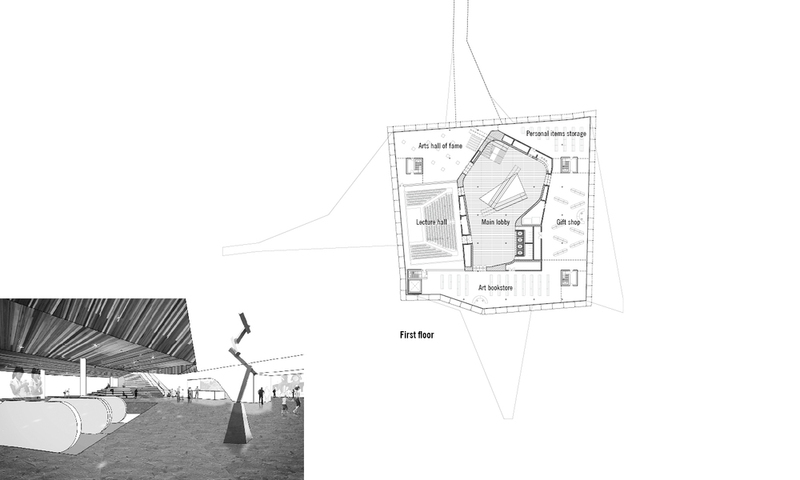 As an iconic volume floating over an open plaza, the program is consolidated into a single identifiable prism; the terrain below is at the same time sculpted to engage the multiple approaches and points of vehicular and pedestrian access to the site. 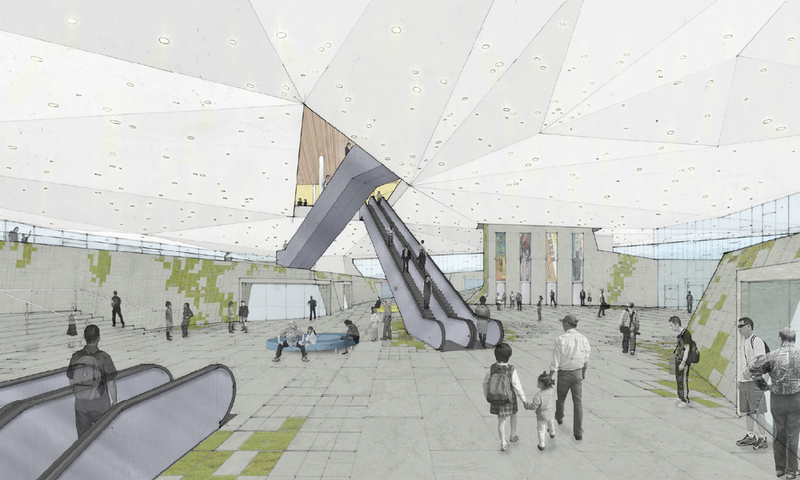 As the landscape flows under the building, the ceramic skin stretches from the central mass across the adjacent park into a horizontal shading device, providing refuge from sun and rain and marking the entries and circulation routes into the museum. 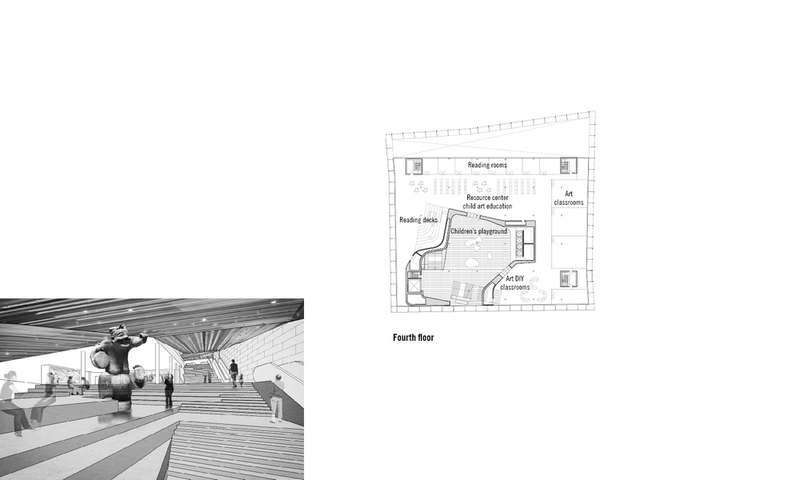 A continuous lobby, containing a grand staircase and pairs of escalators, spirals up through the eight floors of the building. 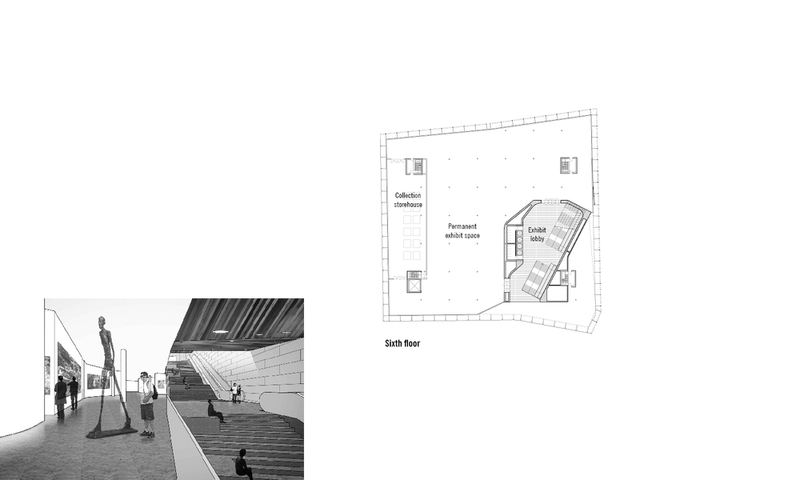 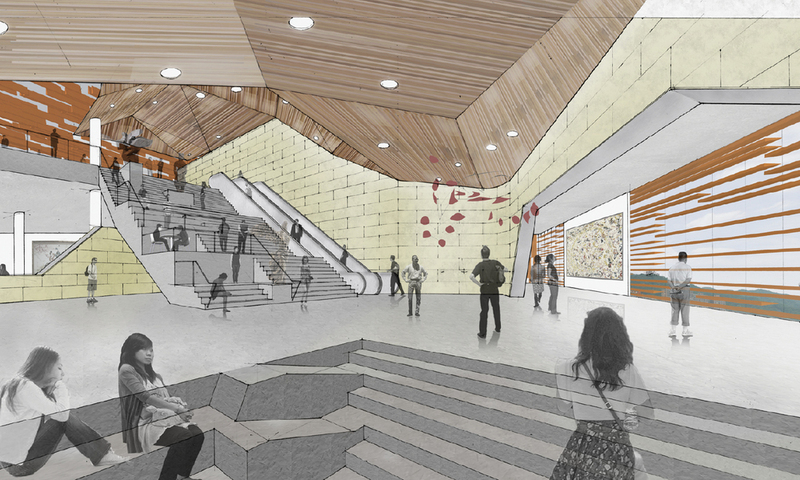 The stairs extend into public gathering spaces at each level and link to the central elevator core, which provides a means to short-circuit the spiraling ascent. 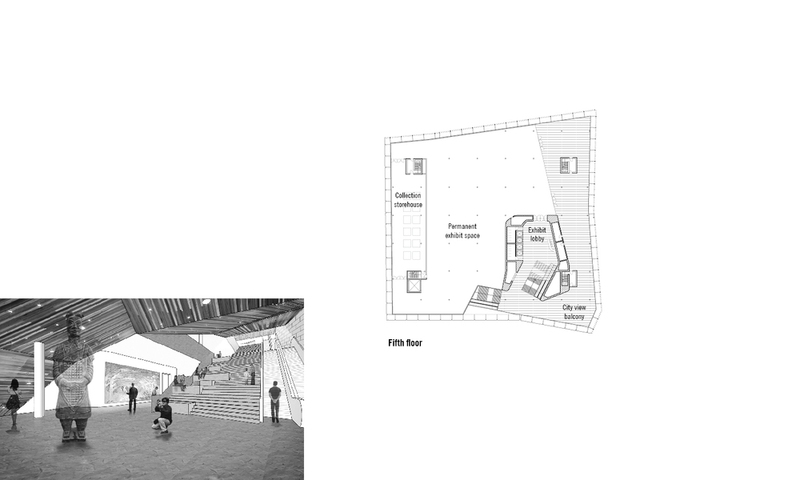 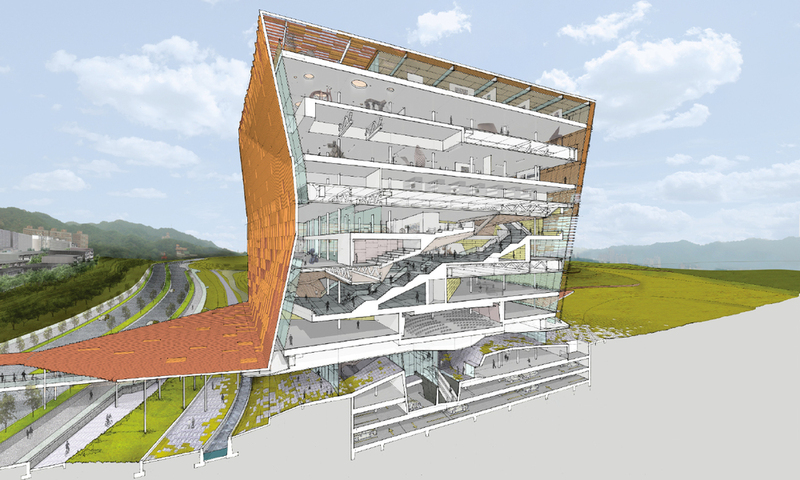 Exuberant, constantly changing, and complex in section, the continuous lobby forms a legible figure in plan.